Career advice can be topical and fleeting, good until the next best idea comes along. 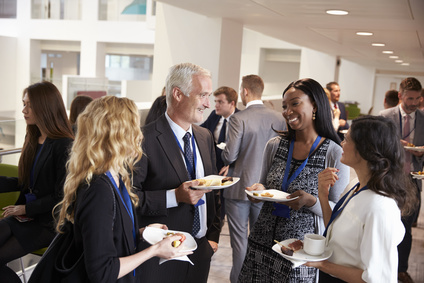 Because networking can be intimidating and stressful for many of my clients, I offer a few simple tips that are enduring, flexible networking strategies they can use for their entire careers. Once they become habits, you can supplement with additional strategies, but these will always remain useful and effective on their own. Think of your network of contacts as a garden. You have to water and feed your contacts so they’ll bloom year after year. Schedule a little time each week to reach out and connect with a few contacts at a time. Phone, email, or meeting for coffee or cocktails, it’s your choice. Greet them warmly, offer a little personal or professional update on what you’re doing, and then ask about them. Make sure to offer something of value fairly regularly. An open position that might fit them, the name of a good recruiter, or industry news. This way, they’re more likely to offer a connection or referral in return, even years after first meeting you. It’s also a good idea to prune your garden once in a while. If a contact leaves your industry, retires, or become uninterested in networking, take them off your prime contact list. Reserve your efforts for reciprocal contacts. It’s important to connect with at least a few recruiters who specialize in your industry. Because of their connections, recruiters often hear of positions before they become public, and they’re experts in fitting candidates to jobs in your field. Treat them like any other network connection, and be sure to offer referrals and information about job openings. The more value you offer over time, the more likely you are to be top-of-mind when your dream job comes open. You don’t have to attend 2 dozen networking events a month, that’s more than anyone has time to do. Keep your eye out for industry-specific events and general events with interesting speakers or other value to you. If the monthly or quarterly event you like to attend becomes stale or poorly attended, find another to take its place. Raise your game: Make sure the ones you attend offer good value and that you take advantage of the opportunities. Are they rich in contacts? Rich in content? Offer access to contacts from organizations you’d like to join? You must attend at least an event every month, preferably two, but you can be choosy about which ones to attend. Do consider attending alumni events from your Executive MBA program, as those alumni are often contacts worth cultivating.